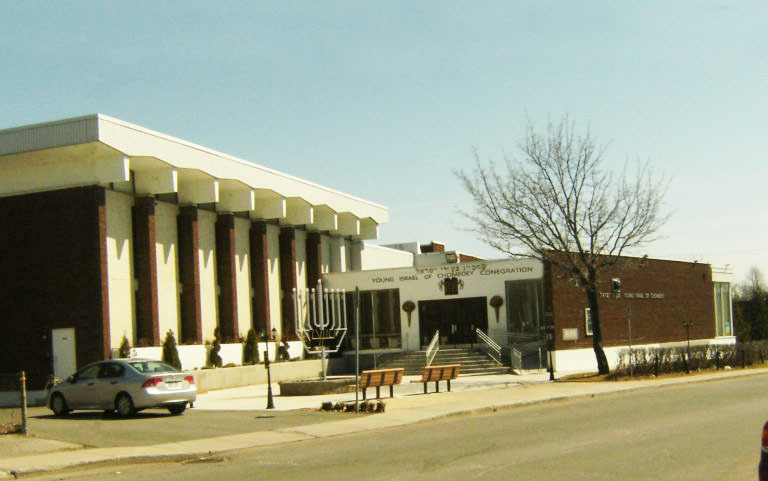 The History Of The Shul, The History Of The Shul In the News, The history of the Young Israel of Chomedey began in 1959, in a house on Romiti Street, in Chomedey, where Rabbi Solomon J. Spiro lead as spiritual leader. It was just the beginning of what would become the foundation of our Jewish Community It was September 11, 1960 where the breaking ground of the building of the Young Israel of Chomedey took place, and where it stands today, is our dear house of worship. Throughout the years, we have seen many changes, but continue to uphold and support the traditions and values of what the Young Israel of Chomedey means to its community and members. A History of the Young Israel of Chomedey in the Early Years. After WW II young couples began to move from the city centers to the suburbs. For Jews this also meant a challenge to organise a Jewish community in which they would feel at home and to create an atmosphere that would induce their children to remain loyal to their faith.A number of Montreal Jewish families took up the challenges of buying their own homes and undertaking mortgages for the first time in their lives. 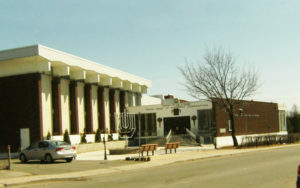 The original group that founded the Young Israel of Chomedey were among those young families all over North America that moved to the suburbs. They bought bungalows in a small town called St Martin from a builder and developer in the area, Bruno Romitti. Mr. Romitti rightly guessed that if he cultivated this group they would bring their friends and neighbors and create a mini real estate boom. He therefore generously donated one of the bungalows he was building to this group to use as a synagogue and community center. Romitti street is located east of Cure Labelle and north of St Martin Blvd. Almost all the bungalows on that street were purchased by Jews. The group soon formed and incorporated the Jewish Congregation of St Martin and the bungalow on Romitti street was the first location of the synagogue. Bruno Romiti finished the basement and that was the sanctuary. Upstairs, the dining room-living room was the social hall and the bedrooms were classrooms for a nursery and kindergarten which were quickly organised. Two Israeli women members of the shul were among the first teachers, which included Bernice Berbrier and Rose Peligal in the nursery, with Margot Schram and Claire Leaman in the kindergarten. The program was so successful that even some non-Jewish parents registered their children. In those years, 1958-60 there was general prosperity and established Orthodox synagogues felt it was their communal duty to see that the new communities in the suburbs would be Orthodox. Among the prominent Orthodox synagogues in Montreal, was the Young Israel of Montreal. The board of the synagogue voted to offer the Jewish Congregation of St. Martin $5000 to help establish themselves. In gratitude for this generous offer it decided to adopt the name of Young Israel and join the Young Israel association of Orthodox synagogues across North America. In the meantime another young group of families organised a synagogue in the Val Royal neighbourhood of Montreal North. Unfortunately they ran out of funds and were near bankruptcy. They appealed to the Young Israel of Montreal for help. The board of the synagogue decided that rescuing the Val Royal group was a priority, so they gave the $5000 slated for St Martin to the Young Israel of Val Royal. But the Jewish Congregation of St Martin nevertheless retained its name of Young Israel. At this time three small towns, St. Martin, L’Abord a Plouffe and Laval des Rapides merged to become Chomedey, (Chomedey de Maisonneuve was the founder of Montreal.) And so the Jewish Congregation of St Martin evolved into the Young Israel of Chomedey. During that same period of rapid growth of the suburbs throughout the US and Canada, Yeshiva University did its duty to promote Orthodoxy and subsidised the salary of the rabbi of any young congregation that wished to engage any of their young ordained graduates. And so when Rabbi Solomon Spiro, was sent by the University to help organise the St. the Martin group he accepted their offer to become its Rabbi. The year was 1959. Soon after the Romitti street development, an enterprising real estate entrepreneur started to build homes in Western Chomedey, that is west of Cure Labelle and south of St Martin Blvd. With mortgages subsidised by the government young Jewish couples found it within their means to buy good size bungalows and the area grew rapidly. Before any structure to accommodate the High Holy Day services was built, the congregation had to rent space to accommodate the large number of people who joined. The bungalow on Romitti Street was simply not enough. The first High Holy Day service was held in a small hall on Notre Dame St. above the City and District bank. The next year the lower hall of a night club called Pheasant Blue was rented. What was comical was the owners’ concern during the negotiations for the space that some of the worshippers would sneak upstairs to watch the evening show, on Kol Nidre night no less! The congregation then set about planning the permanent home of the synagogue. The building would be built in stages. The first stage was what today is the lobby and a strip extending from the lobby to the kitchen. That space when it was built served both as a sanctuary and a social hall. Regular daily and Sabbath services were held and, for social activities, a men’s club and sisterhood were organised. Every Sunday morning there were breakfasts with all kinds of interesting speakers featured on the program, sport figures, politicians, even a Jewish detective on the Montreal police force. Sunday afternoons there were movies for the kids. Parents appreciated the fact that they could leave their children in shul for a few hours and go to visit family and friends. The basement of the building was divided up to accommodate classrooms. With the burgeoning population it was impossible for the congregation to continue the nursery and kindergarten and certainly to think of extending the school to become a Hebrew day school. Negotiations with the United Talmud Torahs were successful in having them take over our school. Our basement served for the first few years as classrooms for the first few elementary grades. Eventually the Talmud Torah built their own building. The present social hall was then built. It served as a sanctuary, social hall and on Sunday afternoons as a floor hockey rink, By moving around chairs we were able to have services Sabbath morning and a bar mitzvah luncheon afterwards. The tables were set and stacked in a corner. When services were over the guests of the bar mitzvah were asked to adjourn to the lobby. The waiters then placed the chairs and table restaurant style and the guests returned to the social hall. Finally our beautiful sanctuary was built and the Young Israel was on its way to becoming a major synagogue of the Montreal area. The arrangement of the social hall next to the sanctuary was very convenient and in our heyday, during the 70 ‘s and the beginning of the 80 ‘s, we had bar mitzvah luncheons, mincha bar mitzvahs and Sunday weddings, all on the same weekend. Keep up to date with the Young Israel of Chomedey.